Hello! 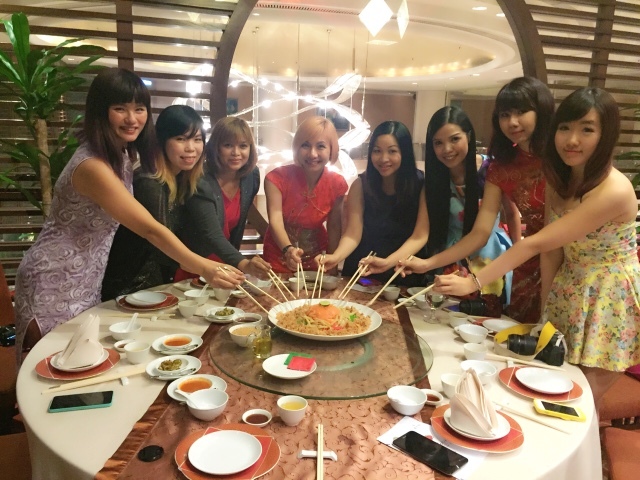 My last early Chinese New Year review or 'sao gong' dinner brought me to Tai Zi Heen at Pullman KLCC. 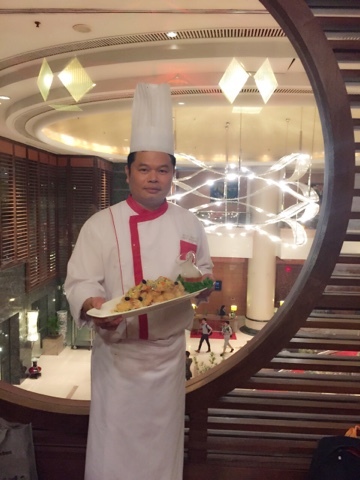 The Chinese restaurant which specialises in Cantonese cuisines and seafood dishes also serves excellent dim sum. 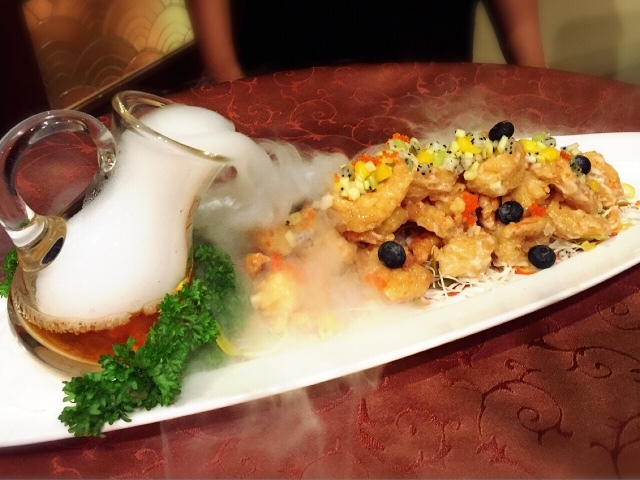 I visited Tai Zi Heen for its lip smacking dim sum on few occasions and I'm glad that it always leaves me a memorable experience.The Lunar New Year 'Spring In the City' starts from 18 January to 22 February 2015 with tasty dishes that includes chicken consommé with cbalone, sun-dried scallops and cordyceps, twice-cooked tea smoked duck with spicy mango chutney, pan-fried jumbo tiger prawns with the chef's signature sauce and many more. The staple for Lunar New Year, prosperity Yee Sang. We are in for a treat with Crispy Whitebait Yee Sang and add on of Salmon. 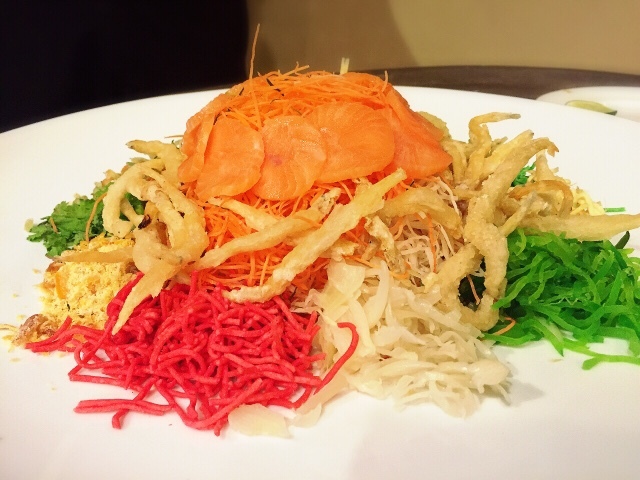 Other varieties of Yee Sang available including Vegetarian Snow Pear, Salmon, Crispy Whitebait, Hamachi, Abalone and Four Seasons Prosperity Yee Sang(butterfish, salmon, tuna & jellyfish). The Yee Sang comes in 3 sizes portion of regular, medium or large, price starts from RM34. 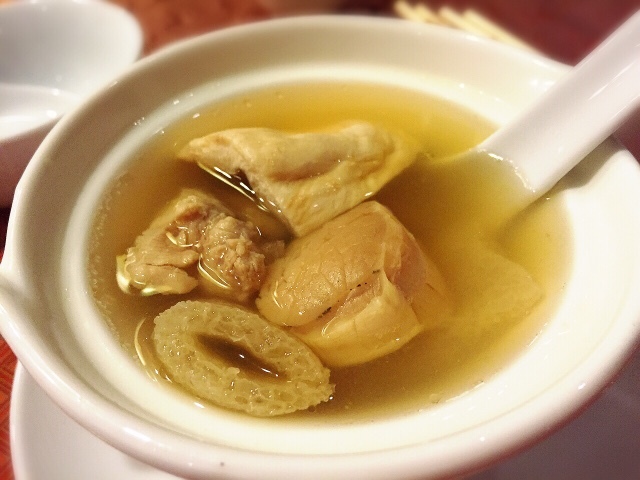 Double-boiled Chicken and Vegetable soup with Fish Maw and Sun-dried Scallop. Hearty and nutritious soup packed with flavour from the abundance of premium ingredients. Braised Sea Cucumbers with Morels Mushroom, Sun-dried Oysters and baby Pak Choy. Auspicious dishes of the Lunar New Year, symbolises fortune and prosperity. I love the Morels mushroom interesting a tad chewy and crunchier texture. 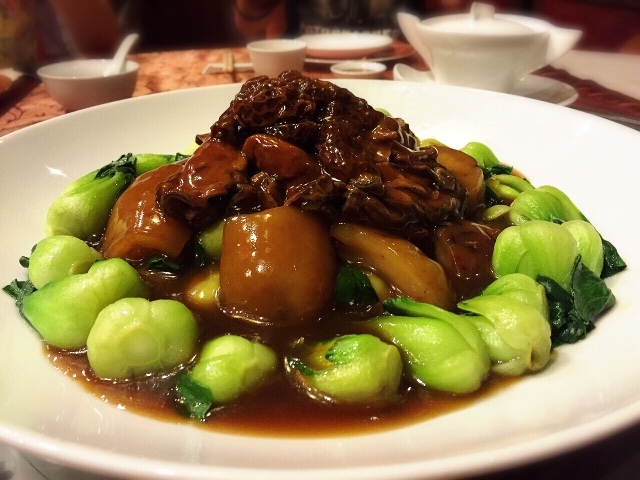 The thick sea cucumbers are firm and well-braised too. 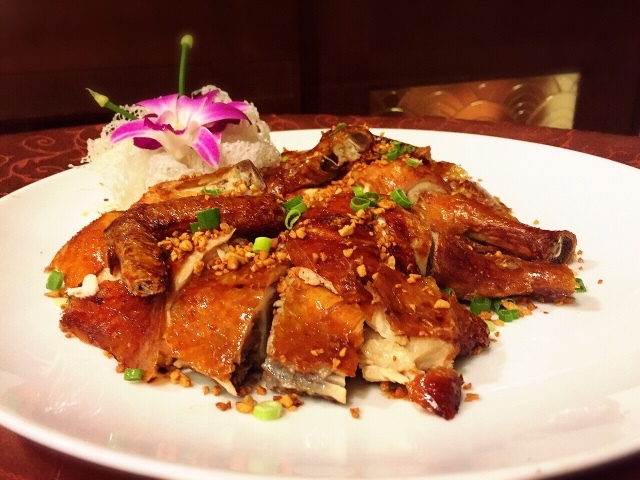 The chicken is roasted perfectly with crispy skin and tender moist meat. Wow..... superb smoked tea presentation. The de-shelled prawn are deep fried crisp and topped with lemon dressing and fruity salsa like kiwi, blueberries, mango and dragonfruit add a tangy taste to the pretty dish. 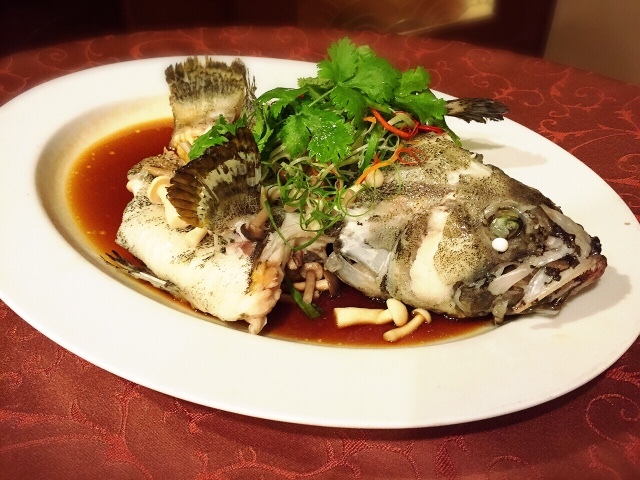 Fresh and succulent, the fish is a actually a mix breed of dragon grouper and tiger grouper which taste marvellous. The dish may look humble, but it is not easy to stir fry glutinous rice as glutinous rice is sticky and has a tendency to get burnt easily. 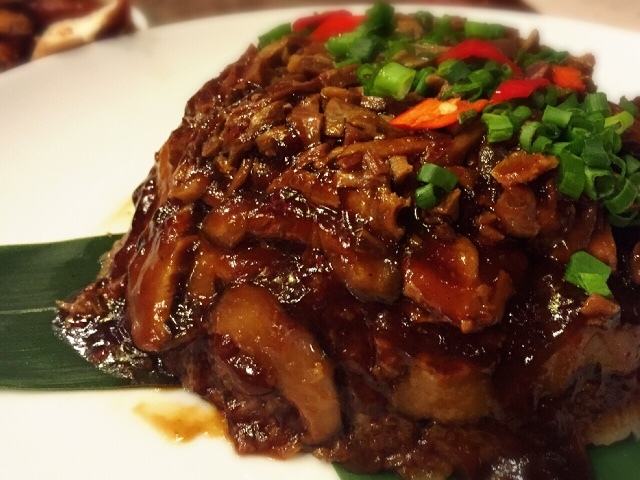 Generously laden with preserved duck, it is bursting in flavour with every spoonful. 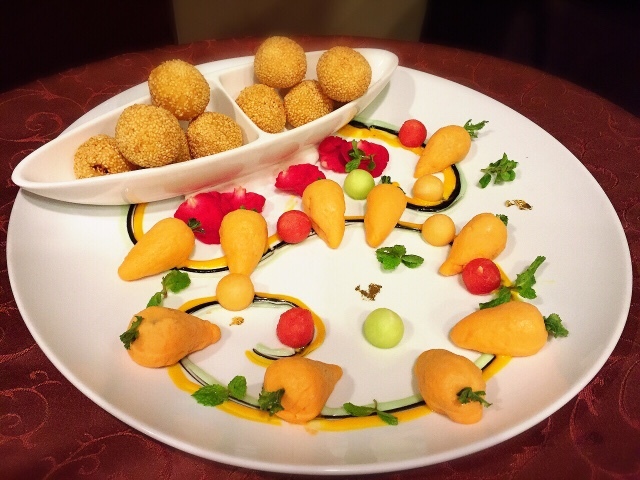 Ending our diner on a sweet note with this pretty platter of carrot shaped pastry filled with sweet potato. The hype salted egg has continued in the hotel's restaurant. 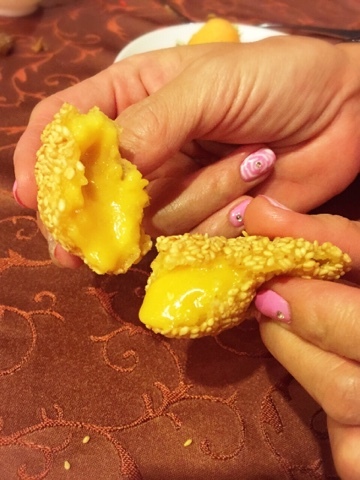 Tasty salted egg yolk custard oozing out from the crisp sesame ball, just heavenly. 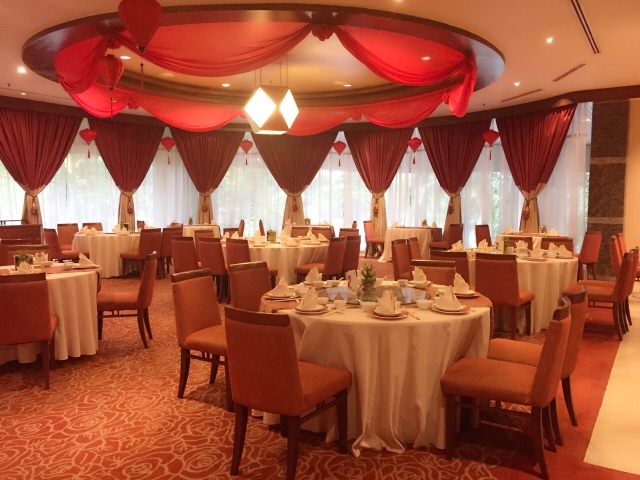 Set menus are priced at RM1788.00 nett, RM2288.00 nett and RM2788.00 nett for a table of ten persons. For more information or reservations enquiries, kindly call 03- 2170 8888.